My ultimate favorite easy comfort food is a grilled cheese. I usually always pair that with tomato soup for some more warm comfort, but it is my go-to. In fact, this has pretty much become our Sunday lunch almost every week. You get home a few hours at church and everyone is starving and you need to make something quick and easy that will get everyone nice and cozy and ready for Sunday naps. Me included. There is probably nothing I love more than a good Sunday nap :) It is something that was important for my parents to do every week and I am happy to keep that tradition going strong for me and my family. Heaven knows my parents needed a nap at least once a month with 8 little rugrats running around all the time. 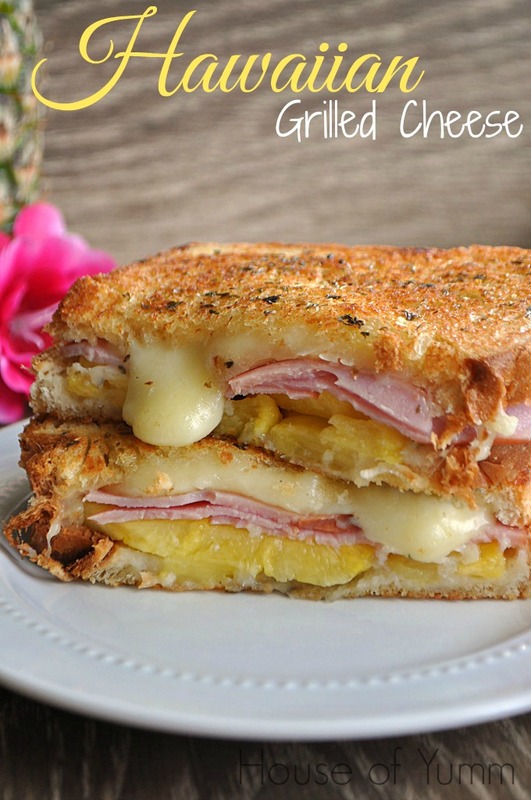 As I was browsing the recipes on my Cook’n homepage I saw a recipe for pizza grilled cheese! I read through the recipe and instantly fell in love. 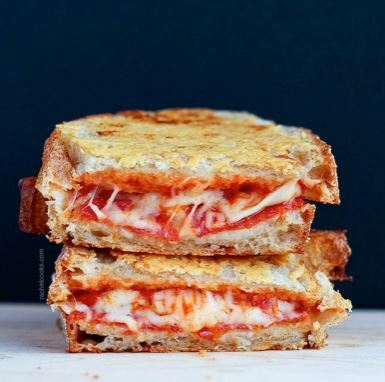 I went to Pinterest later that night looking for a diy project for my son’s room I was going to do when I saw that pizza grilled cheese was something that was trending. There I saw several colorful, beautiful pictures with a few mouth-watering, different varieties. I couldn’t wait to try one! It is pretty simple. The inside is marinara sauce layered one each side of the bread and then you add shredded mozzarella cheese and pepperoni to the middle. You butter the outside bread and add parmesan and maybe even some garlic salt if you’re really feeling crazy. Hawaiian pizza was always my favorite kind as a kid. I still absolutely love it to this day. We always seem to still order that kind every time we order pizza even though I seem to be the only adult to ever love it ha! With this one to the middle you add shredded Monterey Jack cheese, Canadian bacon, and 3 slices of pineapple, fresh or canned and on the outside you butter the bread and add oregano and parsley. It totally tastes like a slice of pizza in sandwich form! It looks so yummy! Preheat a griddle or large nonstick skillet over medium heat. In a medium bowl, whisk together the ricotta, parmesan, provolone, lemon juice, garlic, basil, oregano, a dash of salt and pepper to taste, and crushed red pepper. Whisk until the ingredients are evenly dispersed. Set aside. Take a couple tablespoons of the ricotta mixture and smear it on the unbuttered side of 4 pieces of bread. Place these 4 slices of bread on the griddle, butter side down. 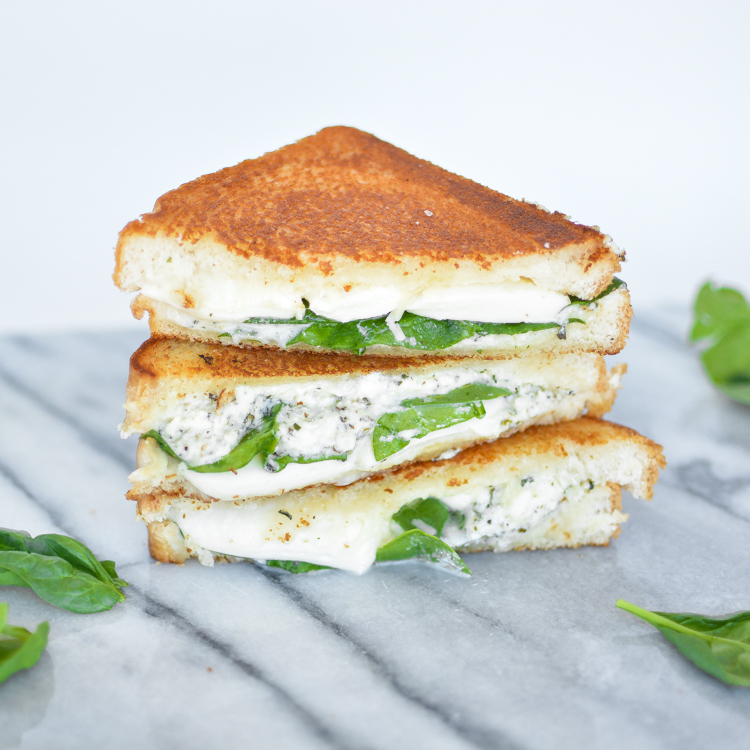 Carefully layer the mozzarella and baby spinach on top of the ricotta mixture. Place the remaining 4 buttered slices of bread on top, butter side up. Brown evenly on both sides, being careful when you flip the sandwiches. Remove from heat once brown and the mozzarella has begun to melt.